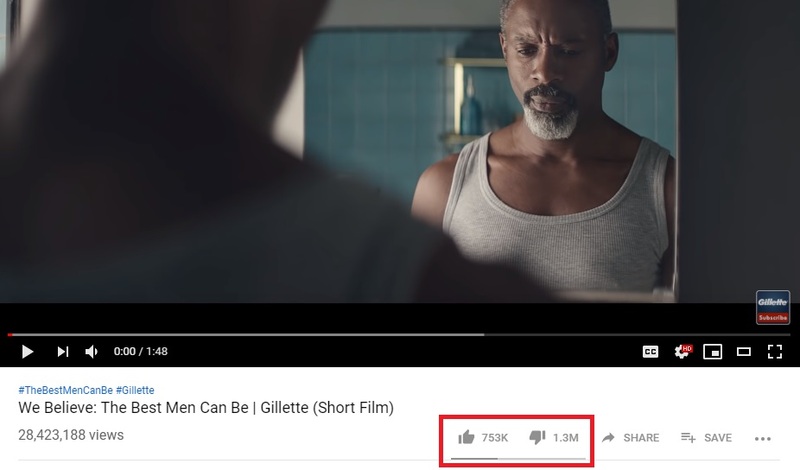 The left-wing propaganda outlet The Verge, which appears to be helping prep the public for the change, reported on Friday that "dislike mobs" (aka average YouTube users) are "weaponizing the dislike button" by downvoting crappy videos like YouTube Rewind. 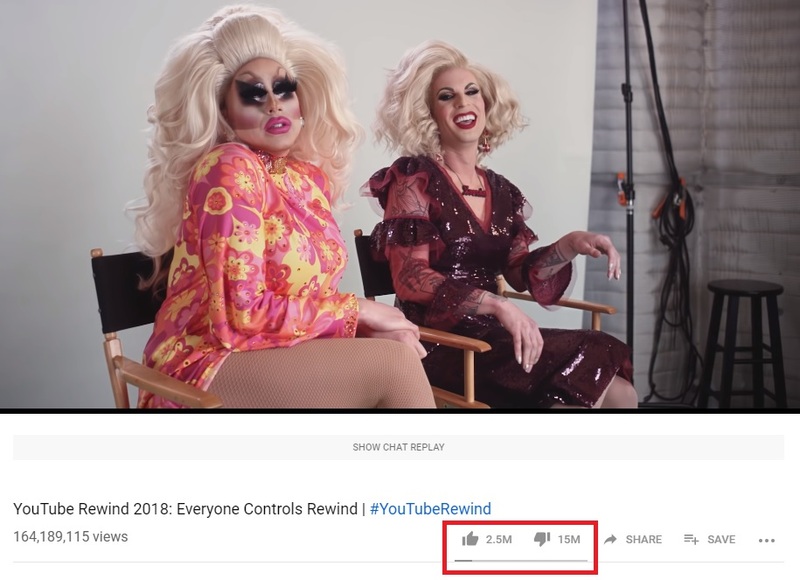 YouTube is no stranger to viewers weaponizing the dislike button, as seen by the company's recent Rewind video, but the product development team is working on a way to tackle the issue. Tom Leung, director of project management at YouTube, addressed the issue of "dislike mobs" in a recent issue of Creator Insider, YouTube's corporate series for creators. If you don't like their crappy propaganda videos you're part of a "dislike mob" and you're "weaponizing" your downvote. This propaganda is so stupid it's mind-blowing. "Dislike mobs" are the YouTube equivalent to review bombings on Steam -- a group of people who are upset with a certain creator or game decide to execute an organized attack and downvote or negatively review a game or video into oblivion. It's an issue on YouTube as well, and one that creators have spoken out against many times in the past. Reports have suggested that a video with a high number of dislikes -- that outweighs the number of positive likes -- is less likely to be recommended, and could therefore hurt the creator's channel. If you're pushing propaganda and you don't want the public to downvote your video you can simply turn off downvotes and upvotes. Of course, that's not good enough for these people. As in Orwell's 1984, we all have to be forced to love the propaganda. Now, the company is planning to experiment with new ways to make it more difficult for organized attacks to be executed. Leung states in the video above that these are just "lightly being discussed" right now, and if none of the options are the correct approach, they may hold off until a better idea comes along. Right now, the current option is for creators to go into their preferences and indicate they don't want ratings (likes and dislike numbers) to be visible; the issue is that videos with an overwhelmingly positive response also won't be seen. Leung and his team are aware of how important those public stats are to creators, too. "Another [option] is requiring more granularity when someone downvotes," Leung says. "If you're going to give a downvote, maybe you have to click a checkbox as to why you don't like this video. That could give the creator more information, and it would also give viewers pause instead of just doing it impulsively. On the other hand, that's complicated to build, complicated to collect, and then to relay the results to the creator in analytics or Creator Studio." That would also give Google another factor with which they could rank the value of your downvotes. I.e., if you dislike a video for the "wrong" reason, they could make your downvotes worth less in the future. The last option, which Leung describes as the most extreme option, is just to remove dislikes entirely. It's not "as democratic," according to Leung as, "not all dislikes are from dislike mobs." As we've learned from the aftermath of Trump's election and Brexit, leftists hate democracy with a passion when the vote doesn't go their way and will do everything in their power to reverse the election results. Google also recently announced they'll be suppressing "conspiracy" videos from being "recommended" like those which claim "the earth is flat," or make "blatantly false claims about historic events like 9/11." This is all part of Google's massive social engineering experiment -- which is unprecedented in size -- that is meddling in our democracy to give themselves and their allies in the Democratic Party (and the Republican establishment) more power.